The Zandvlei Estuary is the largest of eight estuaries on the False Bay coastline. Zandvlei Estuary is situated in Cape Town, South Africa and borders on the suburbs of Lakeside, Marina da Gama, Muizenberg and Steenberg. The rivers and streams that feed the estuary drain the eastern slopes of the southern extension of the Table Mountain chain. The Zandvlei Estuary Nature Reserve (ZENR) has been established in a densely populated area in the southern suburbs of Cape Town. The reserve functions as a fish hatchery, nursery and habitat for many animals, especially birds. 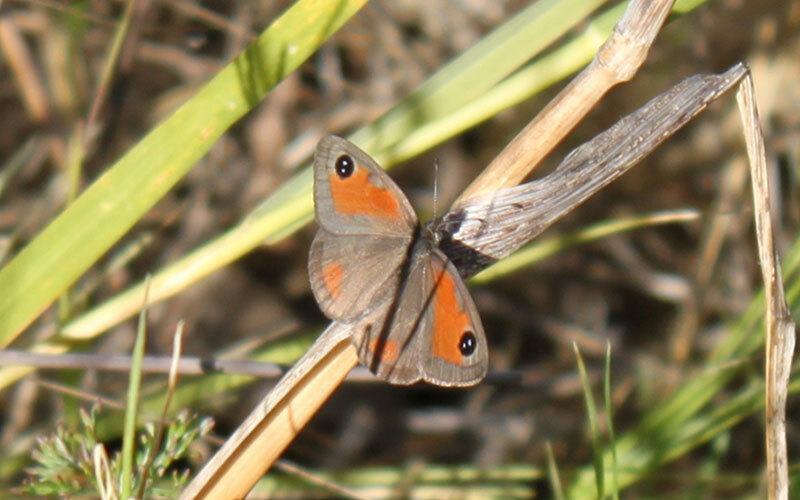 Various endangered species also find refuge at Zandvlei. The Zandvlei Estuary is the largest of eight estuaries on the False Bay coastline. It receives the bulk of its fresh water from three river systems draining the eastern slopes of the south Peninsula mountain chain. These are the Westlake, Keysers and Sand Rivers. The Sand River starts as the Diep River, which rises above Constantia and flows through a series of greenbelts and public open spaces before crossing under the M3 Freeway and into Little Princessvlei and Zandvlei. After it leaves Little Princessvlei it becomes known as the Sand River. The Westlake River has its source on the lower slopes of the Steenberg. It flows through the Steenberg Estate, Pollsmoor Prison and the Kirstenhof Wetlands before entering Zandvlei. Town’s False Bay coast. The Keysers River rises on Constantiaberg as a series of small streams, most notable of these are the Grootbosch, Spaanschemat and Prinkasteel rivers. All of these rivers and streams, as with Zandvlei itself, have been affected by urban development and have been modified in various ways. The vlei, under natural conditions, would dry out completely at certain times of the year. Zandvlei is, however a semi-estuarine system as a result of changes to its catchment and the mouth. The water level in the estuary is controlled by a rubble weir and a sand bar , which is opened periodically. The Zandvlei Estuary drains into the northern point of False Bay with its mouth adjacent to the popular Muizenberg Beach. Zandvlei is the only functioning estuary on Cape Town’s False Bay coast. The estuary was neglected in the past and was negatively affected by farming, urban development, dredging and the introduction of alien invasive species. The original vegetation has been partly restored through local government initiatives and the efforts of volunteers. The Zandvlei Estuary is rated within the top 25% (as far its importance is concerned) of all the estuaries along the South African coastline. Cape Town’s many reserves protect and conserve our city’s natural areas and biodiversity. They are an integral part of the City’s Biodiversity Network. There are 24 nature reserves located throughout the City and GZNER is one of these. These Reserves contain some of the only remaining, natural botanical areas in the fynbos biome. The Fynbos Biome was declared a World Heritage Site in 2004. The Greater Zandvlei Estuary Nature Reserve is within walking distance of Steenberg and Lakeside Stations and the GZNER offices and main entrance are situated off Coniston Road in Steenberg. The office houses an Environmental Education Centre that offers various programmes for learners. 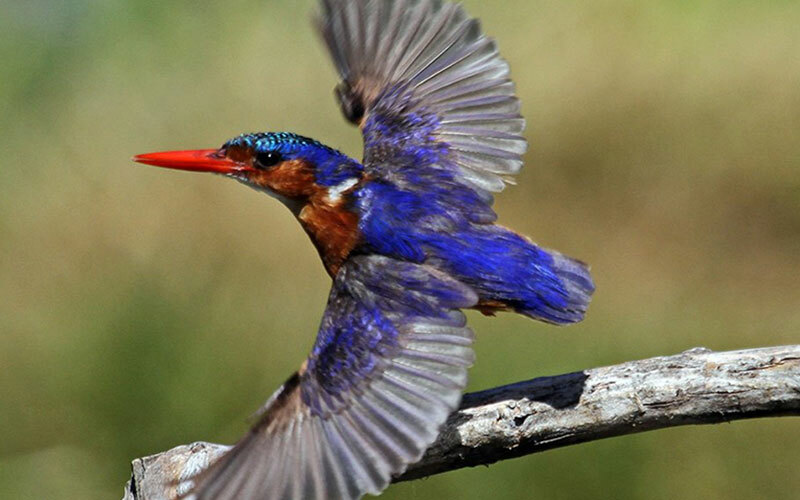 The Zandvlei Trust (ZVT) proudly helps with conservation, education and awareness projects at the Centre. See directions to the Nature Reserve and the Environmental Education Centre. Please make a note of opening hours. The estuary is important for the recruitment of fish such as leervis, steenbras, two species of stumpnose and a number of other species. The surrounding wetland is an important habitat for birds and has 166 species on its official list. It is also a vital habitat for amphibians and about 20 species of reptile such as the angulate tortoise, marsh terrapin, mole snake and brown water snake. 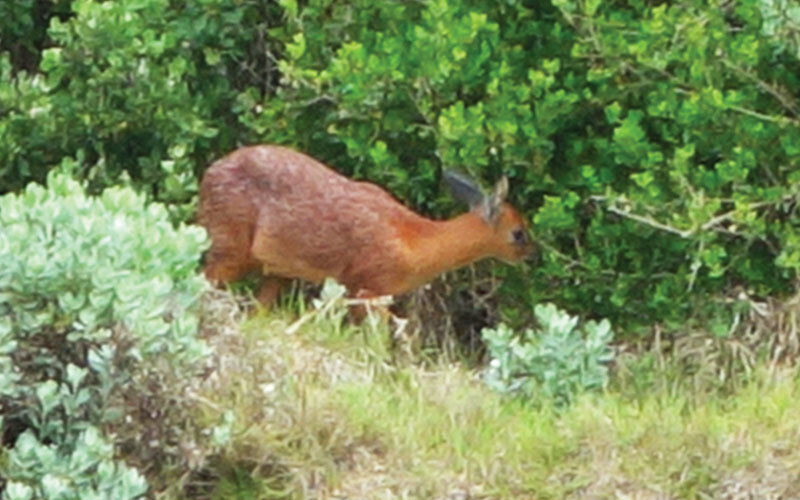 Porcupines, grysbok, otters and mongoose can also occasionally be spotted in the reserve. There are 6 species of amphibians recorded in Zandvlei. 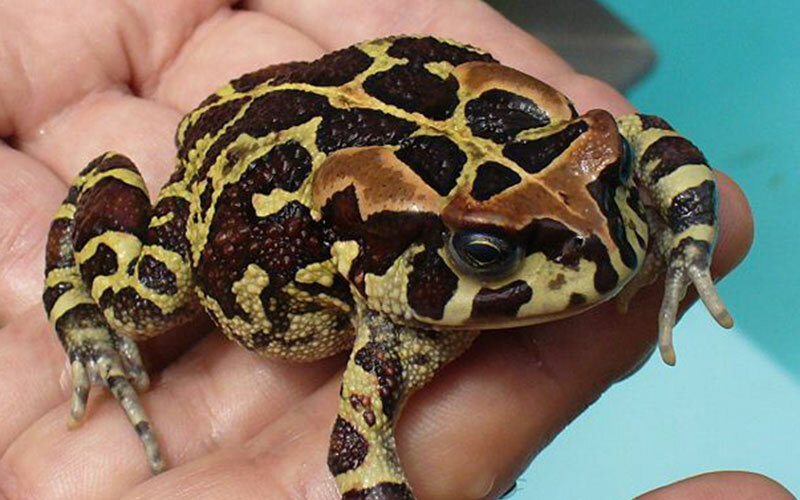 One of these, the Western Leopard Toad is endangered and is a Red Data Species. It does however have good distribution throughout the estuary. Of the 166 different birds recorded for the Reserve 6 are Red Data Species. These are the Eastern White Pelican, Little Bittern, Greater Flamingo, African Marsh Harrier, Perigrine Falcon and the Caspian Tern. 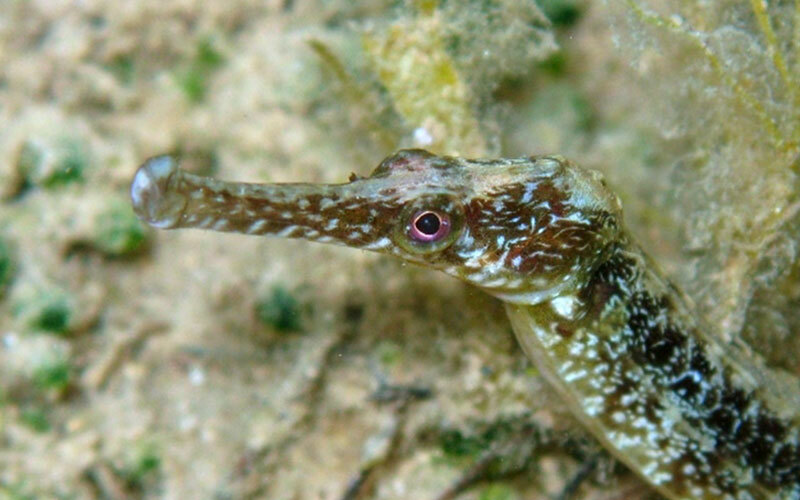 Thirty four species of fish have been recorder in the estuary. Two of these, the White Steenbras and the Cape Galaxia are Red Data Species. 30 different insects have been collected within the Reserve. There are 22 mammals recorded in the Reserve, the most recent being the Brants Climbing Mouse which was recorded in 2005. The Cape Clawless Otter, Porcupine, Grysbok and Water Mongoose are fairly common. 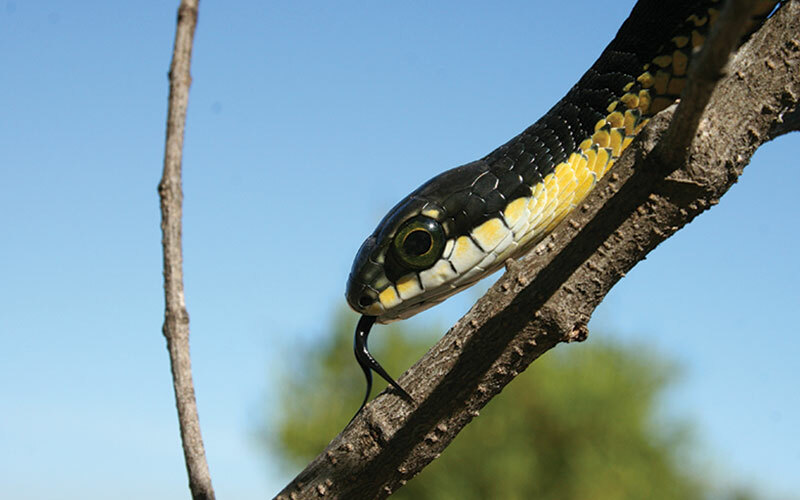 The following reptiles have been recorded: 9 species of snake, 7 lizards, 1 tortoise, 1 terrapin and 1 juvenile turtle. Two records of yearling Loggerhead turtles have been made. There are over 500 plant species recorded. Seven of these are Red Data Species. They are Lampranthus reptans, Euphorbia marlothiana, Psoralea glaucina, Psoralea repens, Satyrium carneum, Muraltia mitior, and Passerina paludosa. There are also 25 Declared Invasive Plant Species in the reserve. The Zandvlei Herbarium is kept at the Environmental Education Centre and houses a specimen of each of these plants. Because of mainly human pressures on the reserve, the existence of a number of plants is threatened. A beautiful recreational space for the community maintained by the community. Zandvlei is used by many different groups of people – visitors, residents, sports lovers (kayaking, yachting, windsurfing), fishermen, walkers, climbers, students, learners, church groups, surfers, sea scouts and more. Muizenberg Mountain (via Pecks Valley above Muizenberg) and the Kalk Bay chain of mountains are close and easily accessible for those wishing to get a higher perspective of this amazing area – these trails offer incredible views of the beach, vlei and the surrounding suburbs. These formal groups have a variety of activities on the water including an annual Kontiki raft building competition, water crafts and boating lessons. The Zandvlei Sea Scout base WC is the oldest sea scout base in the country. The waters of Zandvlei are popular for all water sports – including kayaking, canoeing, kite surfing and rowing. The Peninsula Canoe Club has its home on the western banks of the vlei with formal time trials and training sessions for competitors. Imperial Yacht Club is a family orientated dinghy sailing club on the western edge of the vlei. Sailing coaching is available on weekends and after school programmes are offered to children during the week. Zandvlei is popular with fishermen but due to the effects that angling has on fish species there are regulations in place to ensure that our children can one day enjoy fishing. Catch and release of indigenous species such as leervis is encouraged. A fishing permit is required which is obtainable from any Post Office. The area is a great place to get some fresh air and stretch the legs. The grounds around the vlei offer a myriad of opportunities for animal lovers to exercise their dogs. Walkers without pets are also spotted regularly.